Our family has been helping families move for more than 80 years. Back in 1935, Robert Mordue bought a truck and began moving families in and around Peoria, Illinois. His company grew and prospered by paying close attention to the details that turn an ordinary move into an extraordinary moving experience. The granddaughter of the founder, Joy Adams, and her husband, Russ Adams, purchased Mordue Moving & Storage in 1978. Along with the rest of the Mordue team, they have continued the founder’s traditions of customer service and excellence. In 1983, Mordue became an agent for Arpin Van Lines, the fourth-largest van line in the United States. Today, Mordue is one of the largest Arpin agents earning their top quality and hauling awards. Read more about our relationship with Arpin Van Lines. Our offices, dispatching and storage facilities are located in Peoria, Illinois. From our central location, we can move you across town, over the country or virtually anywhere in the world. 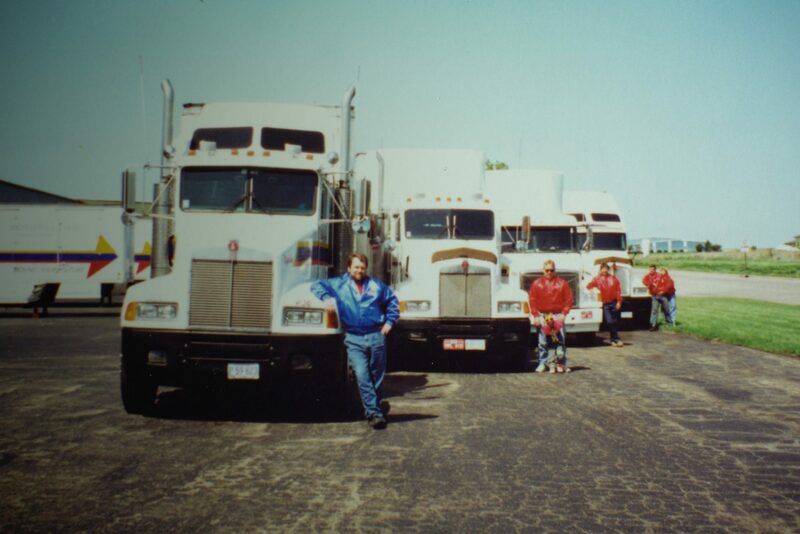 Russ and other drivers with the Mordue fleet, 1991. 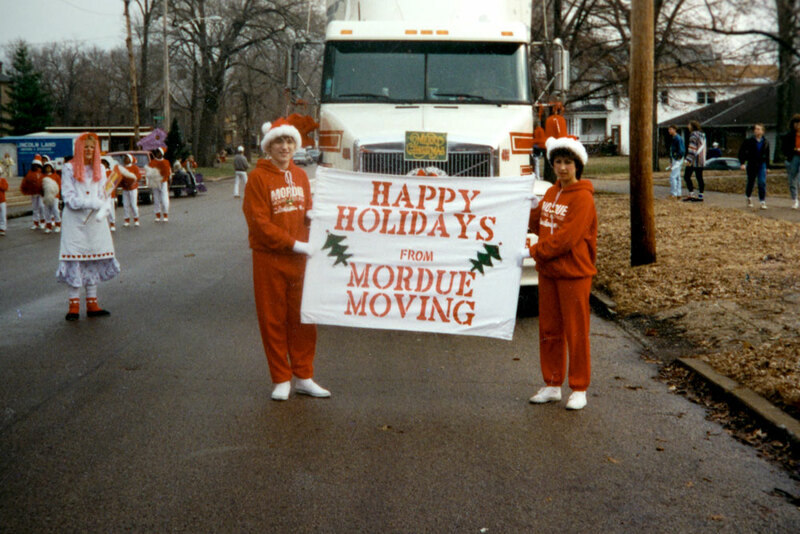 The Mordue Moving team marches in the Peoria Thanksgiving Parade, 1993.